Andre Schembri is looking forward to his new adventure with Apollon Limassol in the Cypriot league and the Malta striker wants to help his new team grab the silverware in the coming season. Earlier this month, Schembri rescinded his contract with Boavista and agreed for a return to Apollon after putting pen to paper on a two-year contract. Schembri’s decision to leave the Portuguese league didn’t come as a complete surprise given that he had struggled to nail down his place in the Primeira Liga side for much of the second part of the 2016-17 campaign. The 31-year-old had enjoyed a bright start to his stint at Boavista as he cemented his place in the forward line for five months without interruption. However, during the January transfer window coach Miguel Leal brought in Ivan Bulos from Peru and Schembri found himself on the sidelines for the rest of the season. Schembri told The Sunday Times of Malta that initially he wanted to honour his two-year contract with Boavista and fight for his place in the team. But a meeting with Boavista officials then made him realise that he was no longer in the plans of coach Miguel Leal, so he decided to seek pastures new. “Before joining the national team for this month’s internationals, I had a private chat with the club’s technical director,” Schembri said. “He told me they were happy with me in the squad but the coach was also looking to add another player up front, the old type of centre-forward to fit more into the team’s playing system. “The coach had also decided to stick with his plan of fielding one striker rather than two in his starting XI and that made me realise that my chances at Boavista were becoming more limited. He was not short on offers but when Apollon Limassol offered him the chance to return to Cyprus, Schembri took little time to accept. “There were teams from Russia, Greece and Cyprus making queries about my availability at first,” Schembri said. “But when Apollon came I simply couldn’t refuse. They are a truly professional club and each year they are challenging for the honours. This was the best move for me and I’m sure about it. “This year they will be competing in the Europa League after winning the domestic cup. Apollon’s goal is to reach the group stages of the UEFA competition and that is the kind of ambition I’m looking for. Last season, Schembri made 30 appearances for Boavista, netting five goals. “Despite everything, I am still satisfied with my contribution at Boavista,” Schembri said. “No doubt, I could have given much more had I been deployed in my favourite position, which is just behind the main striker. Unfortunately, the coach thought it differently and the role I was given was not really the best option for me. “The Boavista fans stayed in touch and they’ve been great all the way. Schembri had spent three successful seasons with another club in the Cypriot league - Omonia Nicosia with whom he made 102 appearances, scoring 53 goals in three and a half seasons between 2012 and 2016. 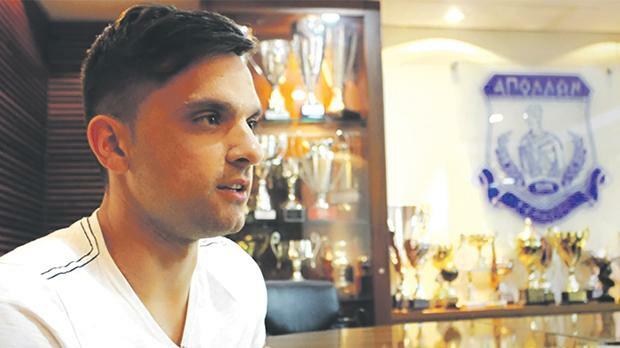 “I know that it won’t be easy for me at Apollon Limassol,” Schembri said. “I’m heading back with a very good track record in the Cypriot championship as they know my style of play from my time with Omonia. “But that is another enticing aspect of this challenge which I’m relishing most.